Wrap Your Vehicle With Canawrap in MOvember! Movember Is A Great Time To Wrap Your Vehicle! 05 Nov Movember Is A Great Time To Wrap Your Vehicle! It’s Movember so get yourself or your company signed up and start growing those chops to support the fight against prostate and testicular cancer! 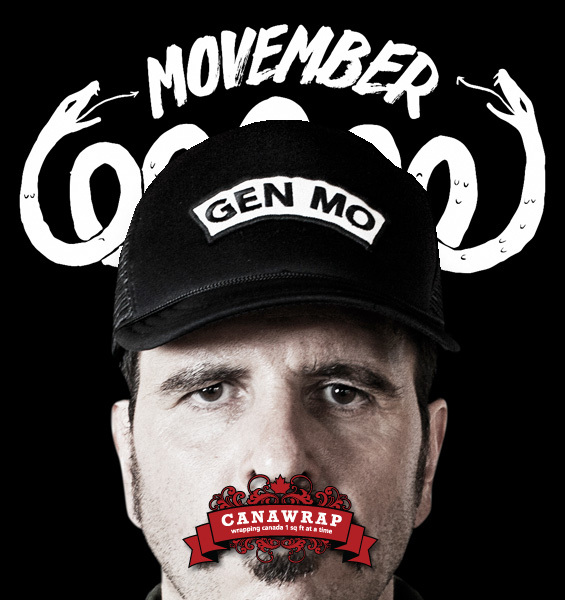 For the month of November Canawrap will donate 5% of every full wrap sold to your Movember team or if you or your company aren’t taking part in the Mo we will make a general donation to Movember Canada. So get in touch with Canawrap today, wrap your ride and make a difference!